McMillan makes its new Mc3 Tradition Stock ready for the holiday season, introducing a polymer design modeled after the company’s Game Scout stock. Available in short and long action Remington 700 rifles, the Mc3 Tradition opts for a factory hinged floor plate with a molded barrel channel. 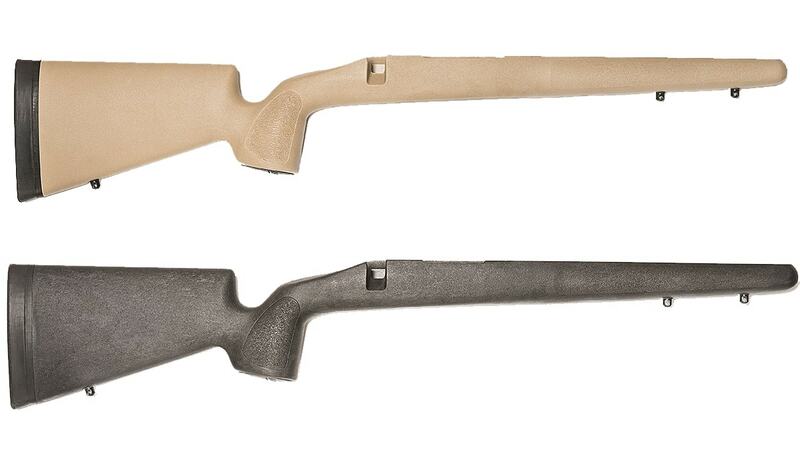 The hunting stock uses a solid stock construction paired with a proprietary polymer blend known as Zenolite. This design lends itself to a stronger stock for serious hunters. The Mc3 Tradition Stock tips scales at 2.8 to 3 pounds with a foxed length of pull at 13.5-inches. The stock comes in the shooter’s choice of either Standard DBL or Deluxe DBL. The units ship with a one-inch McMillan recoil pad, two front sling studs, and three finishes in tan, olive or carbon fiber black. The Mc3 Tradition Stock is available through McMillan with prices ranging between $269 and $319.